There's a new Facebook campaign for people who are tired of Ben Bernanke/Barry Obama releasing all of their newly printed money into the environment. 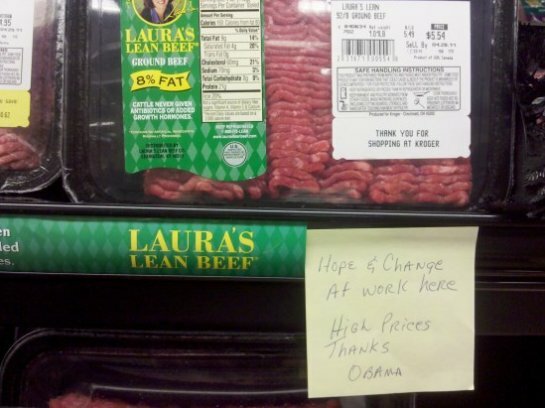 It's called the "Hope And Change Sticky Note Campaign". 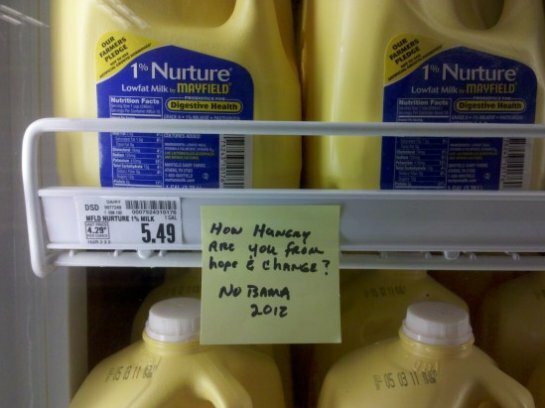 Next time you see a higher price on milk, eggs, gasoline, rent, Coca-Cola, detergent, bacon, or anything else you purchase with your Bernanke Bucks, stick a "Hope And Change" Post-It note beside the price.